Experimental colleges once were the future. Now, what is their future? Hampshire College opened in 1970 as part of a wave of alternative schools offering a different educational experience. 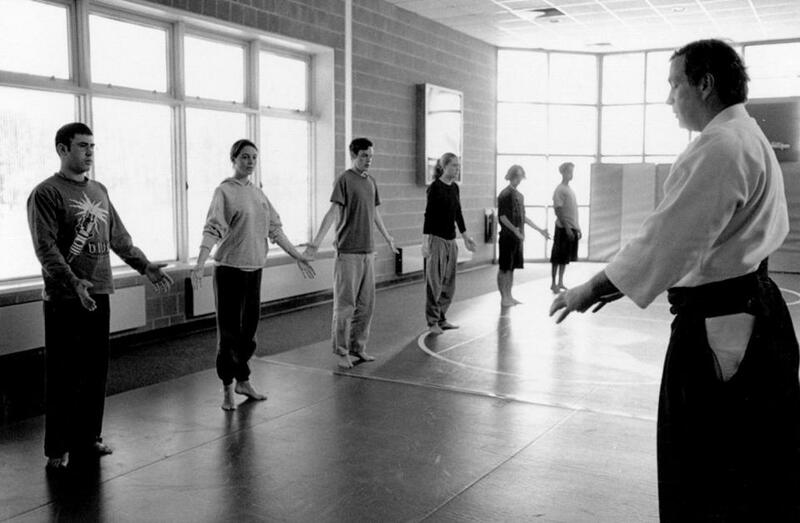 When Hampshire College opened its doors in 1970, it was part of a wave of new schools founded as experiments in alternative education. Some let students set their own course of study and didn’t require letter grades. Some focused on the classics. Some drew students interested in farming or the environment. But Hampshire’s current financial troubles raise questions about whether this style of education is a luxury that consumers today can no longer afford. Some of the problems facing alternative schools are the same as those facing more traditional small schools: a shrinking pool of college-age students, rising costs, and small endowments. But alternative schools also struggle with unique challenges, given their unorthodox offerings. “It’s awfully hard for those institutions and their graduates to prove what they’ve learned in a job market that is oriented toward hit-the-ground-running and prove-you-can-do-something from day one,” said Dennis Jones, the past president of National Center for Higher Education Management Systems. 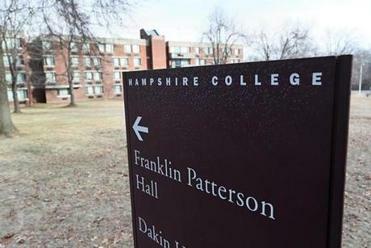 Hampshire officials announced this week that, amid economic pressures, they are looking to merge with another college and might not admit a freshman class this fall. Across the country, it’s a not-uncommon fate for alternative schools, many of which have shut down or reinvented themselves — or are facing pressure to do so. Franconia College, which opened in New Hampshire in 1963 in an old inn in the White Mountains as an experiment in alternative education, shut down 15 years later after financial problems that began nearly from the start. It had also come under attack from political conservatives in the state who accused it of harboring draft dodgers and fostering a culture of drugs and sexual promiscuity. Hampshire College in Amherst announced its desire to merge with another educational institution, citing financial strain that threatens its future. Other nontraditional schools have morphed to stay afloat. New College, in Sarasota, Fla., was founded in 1960 as a private college to foster the arts and free students from traditional curricula. The school is located on the former estate of Edith and Charles Ringling, who helped found the famous circus. It uses a “contract system” where students negotiate an agreement with their adviser each semester about their courses and expectations for the term. In 2001 it became the honors college of the state system. Many of the alternative colleges that appear to be more financially sound are those with big endowments, or those that are so small and narrowly focused that they can operate with very few students. Darron Collins, president of College of the Atlantic in Bar Harbor, Maine, said his school has a successful niche that helps it stay strong. The school offers only one major — human ecology — and students design their own program under that umbrella. The campus has two organic farms and two island research stations. Collins said the school, which has just 350 students, has also been conscious of trying to keep overhead costs like administrative salaries low. “I’m never going to say we are immune to things, because the demographics are tight,” he said, but applications are up, and about 25 percent of the school’s students are international. Antioch College in Ohio, which focuses on practical work training for students and uses written evaluations in addition to grades, has a different type of survival story. The school was founded in the mid-1800s but closed in 2008. Three years later it was reopened by a group led by alumni who purchased the campus and offered the first four classes of students free tuition. The school is now transitioning to paid students and ended fiscal 2017 with a $1.7 million loss, the records show. Mark Roosevelt, president of the Santa Fe campus of St. John’s College, said small schools struggle not because of their particular niche but because of practical concerns like managing their endowment and enrollment. The St. John’s endowment is about $190 million, Roosevelt said. The school has focused more on fund-raising lately and is more than halfway toward its capital campaign goal of $300 million. Hampshire’s endowment is about $52 million, according to the school. The curriculum at St. John’s College, which also has a campus in Annapolis, Md., is composed of a rigid curriculum where students read Homer, Plato, Nietzsche, and Einstein, and must learn to translate ancient texts. Jones, the past president of the nonprofit higher education consulting organization, said that while students may appreciate alternative types of higher education, it is increasingly difficult to justify the cost. At Hampshire, for instance, the tuition is $50,000, plus $14,000 for room and board. But the struggles of these schools does not mean innovation is dead, Jones said. These days, schools are forced to be creative economically, rather than simply academically. Many students pay for their own degrees and are worried about debt, so schools are trying different economic models to keep costs down, such as online education. “Institutions that challenge the economic model are the new frontier of higher education innovation,” he said. Evergreen State College, in Olympia, Wash., is an alternative school that has stayed healthy thanks to its public status. It has always been part of the Washington state system, a factor that its administrators say has helped keep tuition affordable. Tuition at Evergreen is about $7,000 per year for in-state students plus about $12,000 for room and board. The school was founded in 1967 with a similar goal of giving students more control over their learning and curriculum. It now has about 3,000 students. Still, Sandra Kaiser, vice president for college relations, said enrollment has been on a 10-year decline, driven, ironically, in part by the strong economy. About half of Evergreen’s students are community college transfer students. But fewer students typically attend community college when the economy is healthy, and jobs are plentiful. She said the school is constantly evaluating how to best serve students, who are increasingly nontraditional, including older adults and veterans. “We have to really improve and renew in order to serve students,” she said.